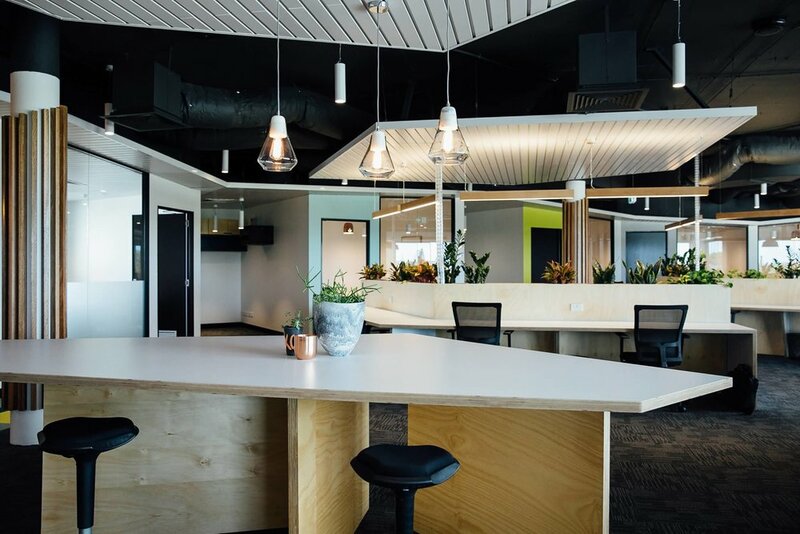 Situated on Maroochydore’s main arterial road, Inbox Workspace has been designed to accommodate the growing trend of collaborative and co-share working arrangements, offering local businesses the flexibility of hiring the space in a variety of configurations for short or extended periods of time. Using a simple, limited palette of materials in a clean and stylish way, Guymer Bailey Architects and Guymer Bailey Interiors created a strikingly modern interior with a layout conducive to a productive work environment. The IT support and infrastructure is state of the art and provides workers with exceptional connectivity and the responsiveness necessary for business management and growth. Inbox Workspace also features an outdoor deck to the north and communal facilities including a kitchenette and other breakout areas that can easily be used for informal meetings.